DCC decoders add a great deal to the capabilities of a loco, or other vehicle or trackside feature. Some locos can accomodate a "drop in" decoder designed to fit that model, while others need the decoder to be "hard wired" in. 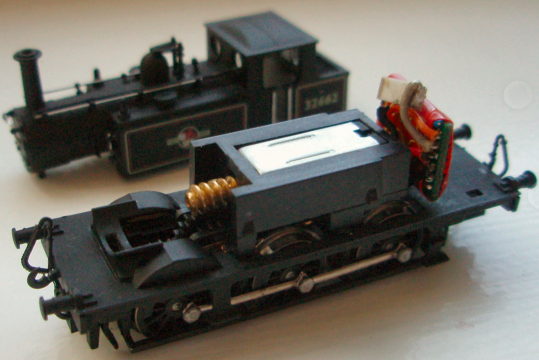 We have extensive experience in installing DCC in many different kinds of locos, from easy to next-to-impossible! We are able to offer DCC decoder installations in a wide range of locomotives and other rail vehicles, specializing in N-scale. Contact us to discuss special requirements, or for advice to help your installations. All installations include basic programming for locomotive characteristics including running, addressing and appropriate lighting. Installations may need consumable items such as tape, wire, heat shrink, etc. which are included in the base price. Any additional required items will be charged appropriately. All installations are warranted for 1 year for defects in installation. and some of the features available; feel free to use these examples to help your installations. 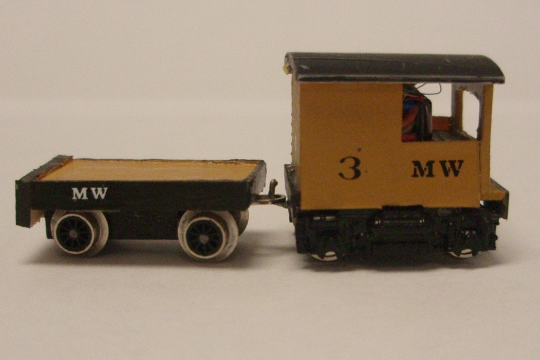 The pictures here are examples of very small N Scale models, each of which has a DCC decoder installed.